1. It is installed with close-table graphical colorful LCD touch screen, wireless remote control exposure, make the operator easy to use. 4. Be equipped with radiography parameter of multi-part, multi-posture, multi-body type’s? adult ,child physical characteristic, the operator can modify and save the parameter by himself, which make the operation more conveniently. 9. 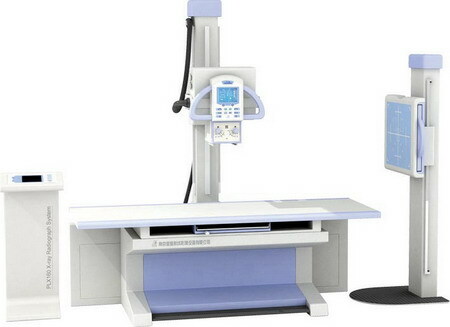 Control console of graphic program controlled LCD touch screen is optional, which can set the radiography parameter and exposure in another room. Grid density:103L/INCH;Grid ratio:10:1;Focusing distance:120cm;Stationary type:15"×18"
Grid density:103L/INCH;Grid ratio:10:1;Focusing distance:150cm;Stationary type:18"×18"